Home care is for individuals who require short-term, long-term or as needed assistance, but wish to maintain their independence in the comfort of their own home. Many seniors find that for the first time in their lives they have to ask for help. Just as growing older can allow for a more relaxed lifestyle, it can also present new obstacles and challenges. With home care services, you or a loved one will get the necessary assistance needed at home to maintain a safe, independent, and happy lifestyle. Caregivers assist with non-medical personal care, light housekeeping, and medication reminders to name a few. You can have peace of mind knowing that you or your loved one is in our care. Home care services are available for individuals in need of assistance. This assistance may include, but is not limited to; help with activities of daily living (ADLs) such as; housekeeping, assistance with daily tasks, laundry, preparing meals, and managing personal hygiene to name a few. Individuals who are no longer able to drive may seek out reliable transportation to medical appointments, social functions or shopping expeditions. 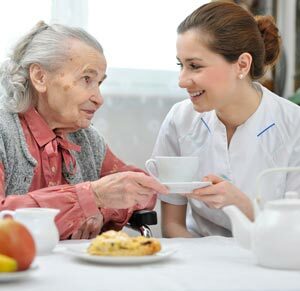 Home care services are not only for the elderly population. Obstetricians, plastic surgeons, and ophthalmologists to name a few, are also great referral sources for home-based care services. Home Care encompasses a broad array of health and social services that are delivered directly to an individual at his or her home. 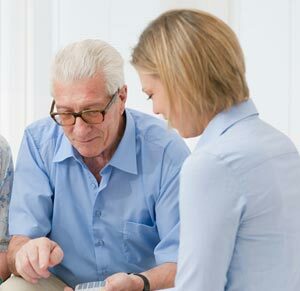 Home Care services are typically provided by home care organizations. Home health agencies supply skilled and highly supervised care through licensed and regulated professionals. Home care services may also be obtained from private-duty agencies, registries, and durable medical equipment and supply dealers etc. While services for the treatment of medical conditions must be prescribed by a physician, supportive services - such as those offered by homemaker companions - do not require a physician's clearance. If you really have the desire to become one of the best companion care companies in your area, and provide your family friends and neighbors with outstanding service that is above all others, I urge you to take the first step and partner with Caring Hearts. We cannot say enough of how deeply our gratitude runs for Caring Hearts. We conducted research and get our homework before choosing the Caring Hearts business model.